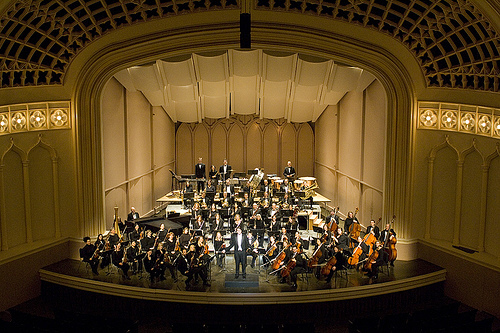 The Boulder Philharmonic will conclude its season Saturday (April 24) with “Legendary Virtuosity,” a concert featuring two of the most popular pieces in the orchestra repertoire—coincidentally, both written in the United States. Both are concertos that call on the virtuosity of the performers, although only one is written for a soloist with orchestra. Dvořák wrote his Cello Concerto in New York in 1894, near the end of his tenure at the National Conservatory of Music. And almost 50 years later, Bartók, a refugee from a European war and working at a retreat in upstate New York, had the idea of featuring the entire orchestra in his Concerto for Orchestra, completed in 1943. The concert, at 7:30 p.m. in Macky Auditorium, will open with the atmospheric Enchanted Lake of Russian composer Anatoly Liadov. 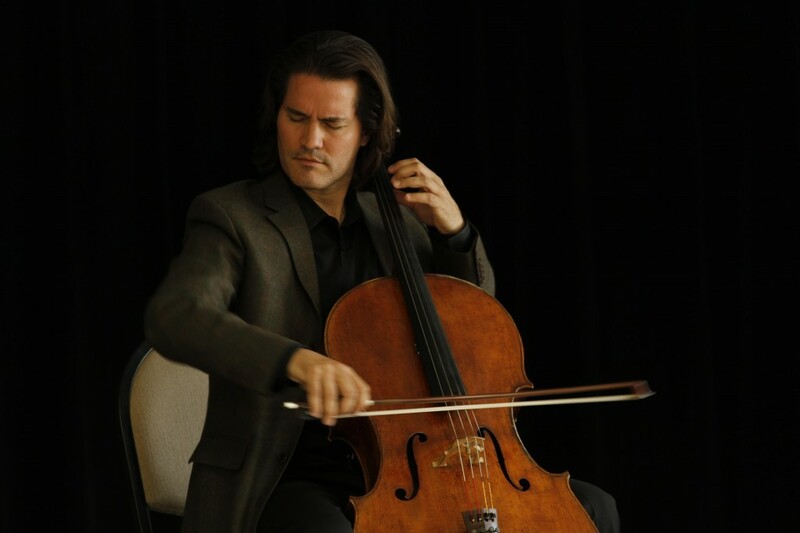 The Boulder Phil’s music director Michael Butterman will conduct, and cellist Zuill Bailey will be the soloist for Dvořák. Tickets are available from the Boulder Phil. Dvořák taught at the National Conservatory during parts of three years, 1892–94. In the spring of 1894 he heard a new cello concerto by one of his colleagues at the conservatory, the Irish-American cellist and composer, Victor Herbert. Best known for his operettas, including Naughty Marietta and Babes in Toyland, Herbert was an accomplished cellist who had led the cello section at the premiere of Dvořák’s New World Symphony at Carnegie Hall the year before. Inspired by Herbert’s concerto, and later touched by the death of his sister-in-law—by legend the one true love of his life—Dvořák wrote a work of broad and deep emotional reach. 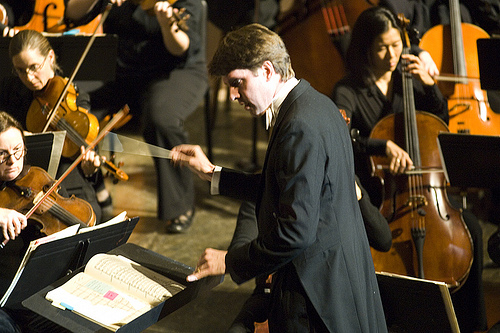 It has remained one of the most beloved works in the repertoire. “This is a piece that gets deeper as one gets older,” Bailey says. “It is never a piece that I tire of. In fact, I’m always amazed at the goosebumps that happen before my entrance. This has never failed me. 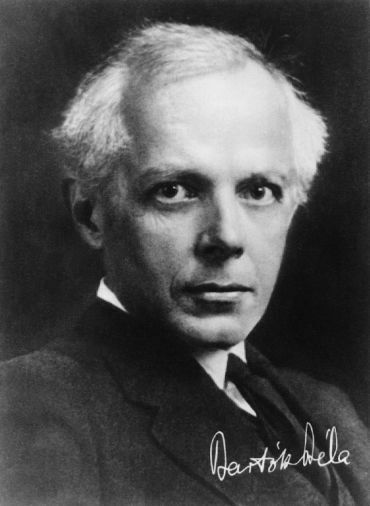 If the name Bartók suggests difficult modern music, you may not know The Concerto for Orchestra. Written in the last years of Bartók’s life, it is a deliberately accessible piece that at times is downright comical. At one point the orchestra breaks into musical laughter at an interruption by a borrowed melody, and the second movement makes great fun of presenting each of the woodwind instrument pairs matched at different intervals. “A lot of people may see the name Bartók and think about music that is written in some language that they find foreign sounding,” Butterman says. “But this is a piece that continues to be one of the most popular 20th-century works in the orchestral canon—for good reason. 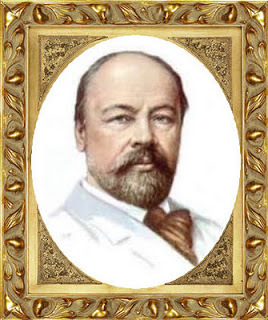 Whether or not he really passed on composing The Firebird, Liadov created a quiet masterpiece in The Enchanted Lake, which remains one of the most performed short orchestral tone poems in the repertoire. “It’s a piece that sets a mood and does it very effectively and very beautifully,” Butterman says. “It’s gorgeous. “The story was that he went down to this lake and just stood there for half an hour or so, watching the whole expanse of things. Essentially nothing happened, so he went home and wrote a piece about it (where) he’s trying to create an atmosphere of absolute placidity and calm and stillness. I think that is its own profundity and depth, if you’re able to capture that sense of stasis and calm. Michael Butterman presents 2015-2016 season.